A singular groove runs through the entire band of this brush/satin finished tungsten mens wedding band, making it proof-positive that beauty comes from simple design. There’s nothing flashy and nothing that calls attention and we do believe that our HELIOS band is for the man who has classic taste and does not have to draw attention to stand out. 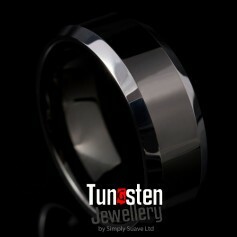 Finished in a full brush satin tungsten look, the contrasting singular polished grooves adds a sublime touch of class to this perfect mens wedding band.